Amid heated debates over immigration, it’s important to remember that some of the most famous Americans in U.S. history didn’t start out as Americans at all. America has always been a land of immigrants, formed by the voices and talents of people from all over the world. Here are some of the most famous immigrants to ever call America their home. Arguably the most famous scientists who ever lived, Einstein was born in Ulm, Germany. After being targeted by the Nazis, he emigrated to the U.S. in 1933 and took up a teaching position at the Institute for Advanced Study at Princeton. He was a major catalyst in the discovery of atomic energy, although he himself did not participate in the infamous Manhattan Project due to his pacifist beliefs. He became an American citizen in 1935. 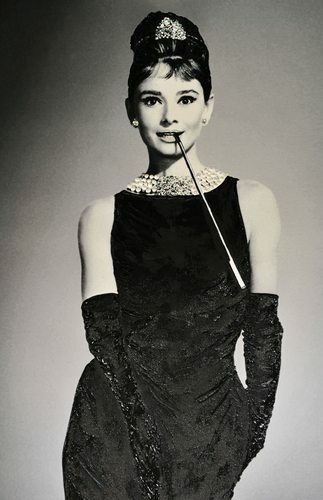 One of the most infamous actresses of Hollywood’s late Golden Age, Audrey Hepburn was born in Brussels, Belgium. After spending her youth in London and Amsterdam, she moved to New York in 1951 to pursue a career in acting. In the following decade, she took Hollywood and the world by storm, starring in classic hits like Gigi, Roman Holiday, and Breakfast at Tiffany’s. A lifelong philanthropist, she also remains known as one of the most glamorous style icons to ever live. Hamilton is a figure you may have seen a lot in the news lately, due to the success of the critically-acclaimed Broadway musical about his life. Hamilton was born in the West Indies in the early 1700s. Orphaned after his mother died, he immigrated to the American colonies in 1722 and went on to become one of the most pivotal players in the American Revolution. After the war, his policies as the first Secretary of the Treasury greatly shaped the United States Government and still continue to influence it today. The next time someone tells you that an immigrant has no place participating in the U.S. government, tell them about Hamilton. Charlize Theron is another figure you may have seen a lot in the news lately, due to her success in recent hits like Mad Max: Fury Road and Snow White and the Huntsman. Theron was born in Benoni, South Africa. After a somewhat troubled childhood, she moved to Los Angeles to pursue a career in acting. However, her strong Afrikaan accent impeded her ability to land roles. She may have remained in poverty forever had she not encountered a Hollywood manager in a bank by random chance. He signed her immediately, and she went on to have an extremely successful acting career, winning over 53 awards. One of the most famous songwriters of his generation, Neil Young was actually born in Canada. He arrived in the U.S. in the mid-1960s and earned fame both as a member of Buffalo Springfield and as a solo artist. His was a powerful voice during the Vietnam War protest era, and his song “For What it’s Worth” is considered one of the greatest anti-war anthems of all time. Though he has lived and paid taxes in America for over 50 years, Young actually never renounced his Canadian citizenship –meaning one American culture’s most significant influencers is still an immigrant. One of the most successful actresses of the past two decades, Natalie Portman was born in Jerusalem, Israel. Her parents emigrated to the U.S. when she was a toddler. At age 11, she was discovered by a representative of Revlon Cosmetics in a pizza parlor, and turned to acting after a brief stint in modeling. She went on to have an extremely successful career, wining critical praise for her roles in V for Vendetta, The Other Boleyn Girl, and Black Swan, as well as for her work in enormous franchises like Star Wars and the Avengers series. Portman is also one of the world’s most highly educated actresses, having graduated from Harvard University in 2003. Are you ready to follow in the footsteps of these famous immigrants? 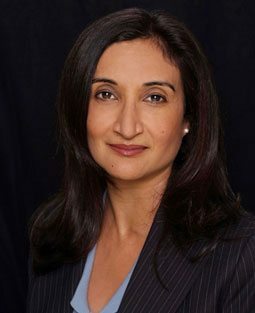 The law offices of Neelam Bhardwaj can help you start the naturalization process to becoming an American citizen today.